The main issue for students of high school becomes the choice of educational institution for future profession. And many young people tend to go to study in Moscow, as there is a large selection of schools and good opportunities for future employment. 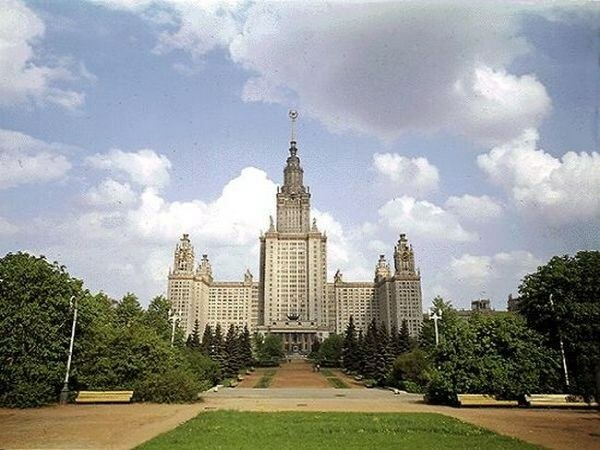 So how to enter the Moscow University? - diplomas of participation in competitions. Select one or several Moscow universities to apply for admission. Full list of schools can be found either in the directory applicants of Moscow, or in one of the specialized Internet sites, for example, the portal Ucheba.ru. Learn not only information on external websites, but the website of the University. Find out if your University Dorm, what exams you need to pass for admission to the chosen specialty are there places in the budget Department. Take part in school Olympiads in special subjects for admission. But keep in mind that all the universities for admission take into account only the results of at least the regional stage of all-Russian Olympiad. Other Olympics private universities can not be ignored. Often, the University is conducting their own competitions to identify talented students. An example is the Olympiad "conquer the Vorobyovy Gory! ", organized by the MSU named after M. V. Lomonosov. In order to participate, you need to come to Moscow. This can cause difficulties for non-resident applicants. Pass the exam in the subjects required for admission to the selected Department. In June, create a package of documents from the copies of your passport, diploma, diplomas of victories in competitions and certificate of passing the exam and send them to your chosen University by mail. If you are recommended for admission, you will need to submit the originals certificates. Some Moscow universities, such as Moscow state University and universities of creative arts, have the right to conduct additional entrance examinations. In this case, any applicant, including a nonresident, shall attend to them personally. Before the trip please specify whether the University Dorm coming and that will solve the problem of finding accommodation for the period of entrance examinations.